The year of 2017 is over so we'd like to look back at what our company has accomplished during these past months. It's been a successful year for us - we've stepped into several new areas of streaming landscape and we're glad to provide new products and features to our customers. Speaking of new territories, our team made an article to share our opinion on the business competition in our industry - it's an answer to a very frequently asked question, enjoy. Before moving forward, take a look at the state of streaming protocols: we compared data from 2017, 2016 and 2015 to see the dynamics. Let's see what we've introduced in 2017. Softvelum Low Delay Protocol is a new technology for reducing the latency for last-mile delivery for end-users. It's based on WebSockets for better accessibility. Sub-second delay between origin and player. Take a look at SLDP usage description and also most frequent questions that show the protocol best practices. In addition to low latency, SLDP provides great level of live streams protection, read this article for more details. Server side support is available in Nimble Streamer - it covers all capabilities of SLDP. Client side is covered by SLDP Players. SLDP is also supported by mobile SDKs. Both Android and iOS have free apps to perform SLDP and RTMP playback, you may also use SDKs to add your own playback capabilities into your apps. 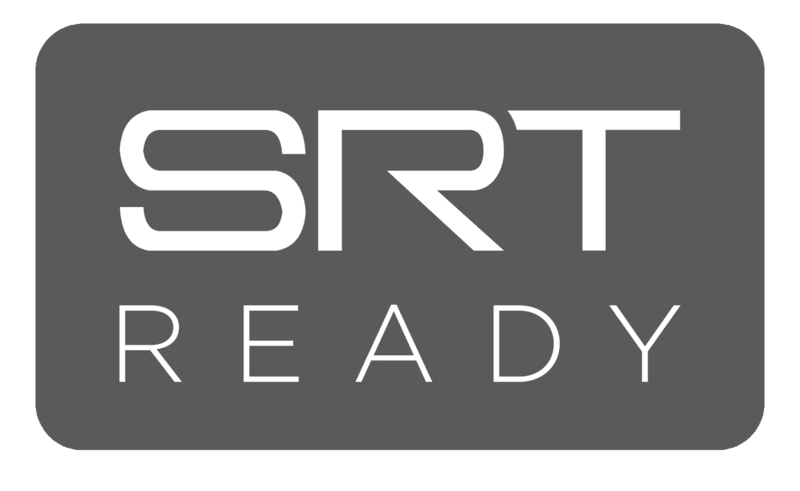 SRT streaming technology, originally created by Haivision and opened to open-source community, is available in Nimble Streamer at x64 and ARM platforms. It's a protocol which adds reliability to UDP transmission with error correction, encryption and other features which make it a great method to deliver live content across unreliable networks. Softvelum was also among first participants of SRT Alliance (created by Haivision and Wowza) to take part in improving the protocol. You can enable SRT in Nimble by installing SRT package and making respective settings. SRT is a great choice for building delivery networks based on un-reliable environment. For last-miile delivery, you may use SLDP described above. We appreciate Jan sharing his opinion and we'll keep improving our products per his feedback. Apple released the support for fMP4 as part of HLS standard recently. Softvelum was the first to introduce fMP4 for live streaming. You may set up Nimble Streamer to produce fMP4 HLS live streams along with other protocols. It supports both HEVC/H.265 and AVC/H.264 video so new Apple devices are able to perform its playback. We've also added fMP4 HLS DVR support in Nimble Streamer DVR - it allows streaming recorded content in both fMP4 and legacy containers at the same time. Speaking of recording, Nimble Streamer and WMSPanel now provide DVR timeline browsing and playback. This allows browsing through the recorded history and play what you need from any point. Wildcard ABR was added to support dynamic names for adaptive bitrate streams in addition to pre-defined ABR settings which was widely used previously. We've added Periscope stream publication and Facebook Live publication support in our setup UI for convenience of our users. UDT streaming protocol is available in Nimble Streamer. Read this article for setup details. We've ported Nimble to IBM POWER8 architecture. It's a good addition to traditional x64 and ARM which were supported before. Our Live Transcoder was updated significantly to add new features. First, check an extensive testing of latest NVidia Tesla M60 graphic card in IBM Bluemix Cloud Platform to see how much it increases the performance of Live Transcoder. New codecs were also added into the Transcoder. You can decode HEVC using NVENC and QuickSync as well as software decoder. Encoding can be done with NVENC and QuickSync. Read more about NVENC encoding and QuickSync encoder parameters. Also, QuickSync setup description was updated with Media Server Studio 2017. Read this article for more details about setup and usage of those codecs. VP8 was also added to VA API implementation in our transcoder to give more flexibility. You can encode audio to MP3 from AAC, MP3, Speex, PCM and MP2. Streams failover hot swap where main stream is backed up by secondary stream in case of publication fail. Emergency swap where main stream is replaced with some replacement stream when it becomes available. This is used in cases like US Emergency Alert System (EAS). The streams are swapped without streams interruption so user playback will not be affected. We've also added more encoding libraries in addition to already supported ones: FDK AAC for audio and VA API (libVA) for video. If you have any issues with Live Transcoder, you can take a look at Transcoder troubleshooting guide which is updated with new cases as long as we provide support to our customers. Please also take a look at "Before you post a question to helpdesk" article - this is what you'll need to get familiar with prior to sending a question to our team. This article also helps analyzing the issues without waiting for our team response. Our mobile streaming products were extended significantly. Larix Broadcaster and its SDK were updated all the time to include new features. Its UI was reworked to allow multiple connections and other features. Take a look at mobile SDK FAQ to see answers you might be looking for. Mobile playback solutions are now available among our products. This includes SLDP Player apps for iOS and Android, as well as respective SDKs for adding playback capabilities into your own apps. Currently SLDP and RTMP protocols are supported. iOS supports H.264/AVC and H.265/HEVC video with AAC and MP3 audio, Android has the same plus VP8 and VP9 on top. Free apps are available in Google Play and AppStore to check all that in action. You may also check SDKs release notes for all latest updates and use this page to subscribe for SDKs and their support. Our WMSPanel web service has been a foundation for most of our products and we keep improving it to keep us with new capabilities. ASN viewers count metric is available in WMSPanel. It will be useful for those companies that want to build delivery networks with better latency and user experience. WMSPanel now supports two-factor authentication which can be enabled per-user. We've also added new capabilities to give granulated control to end-users. Control features are separated and you can give access to particular capability for particular user. That's it. Stay tuned for more features in upcoming new year of 2018 - follow us at Facebook, Twitter or Google+ to get latest news and updates of our products and services.